Book now ... The next Young Eagles flying day is already organised for September 26th! 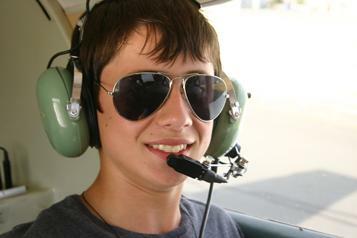 Wagga City Aero Club is running a “Young Eagles” program designed to provide information and flying experience for young people with an interest in aviation and flying. Based on the hugely successful program developed internationally, Young Eagles, aged 8 – 18 years, have the opportunity to learn about flying, understand what is involved in gaining a pilot’s licence and to become familiar with recreational and training aircraft. Our next Young Eagles flying day is September 26th, 2015 commencing at 9.30 am. Please come along to the Aero Club and join in. Information pack can be download here. Come fly with us. It just might just become your whole new world. Social Evenings every Friday from 5.30pm. BBQ and Flying Competitions the first Sunday of each month, starting 12.00noon.